Yahoo! Web Analytics is an enterprise site analytics tool that provides real-time insight into visitor behavior on your website. With powerful and flexible tools and dashboards, Yahoo! Web Analytics helps online marketers and website designers enhance the visitor experience, increase sales and reduce marketing costs. 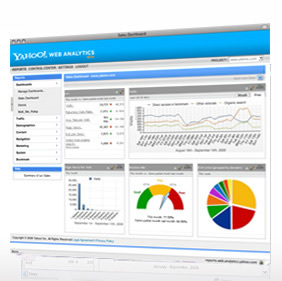 It is a rebranding of IndexTools as Yahoo Web Analytics (beta). It’s currently an enterprise product, but the move brings it closer to being a consumer and small business tool. From what Yahoo are saying it looks like it might do segmentation better than Google Analytics does, which for me would be great. The main benefit over Google Analytics that I can see though is that it’s real-time which would be great for some of the very high traffic ecommerce sites I’m involved in. Google Analytics’ conversion tracking can suffer from massive lag, not good when your tuning up your PPC bids! I’m going to install Yahoo’s Web Analytics and have a play. I’ll let you know how I get on. I just did a search for “profigold HDMI cables” on Google. Showing clearly is an advert for the BBC. It links to an FAQ about HD TV. 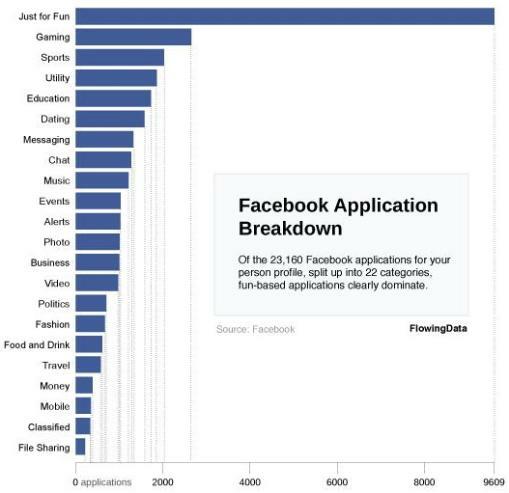 “Just for fun” dominates the installed Facebook Application category. Do not assume that a pointless Facebook application is worthless. There’s some very interesting Facebook app stats, including the number of installs and active users here. This is a great example of how not to do SEO on an ecommerce site.